Recognition as an Oregon State University Icon of Pharmacy and induction into the Pharmacy Hall of Fame is an honor reserved for those who have demonstrated dedication to the College of Pharmacy and distinguished themselves through sustained, meritorious contributions to pharmacy throughout their careers. 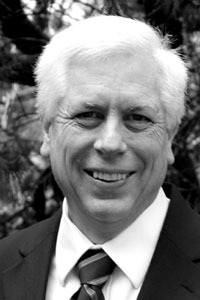 Larry Cartier, OSU Class of 1974, is well known as the current President of the Oregon Board of Pharmacy. He has held leadership positions and maintained active membership in many professional associations throughout his career. Larry’s commitment to the profession of pharmacy has been honored through awards including both the OSPA and OSHP Pharmacist of the Year. With an unsurpassed passion for mentoring students, Larry has also been recognized as OSU College of Pharmacy Preceptor of the Year. After spending more than twenty years with AARP Pharmacy, in 2000 Larry took over as the Vice President of Pharmacy Operations at Wellpartner, Inc.
Larry describes himself as a simple “God, family, country” man. He and Becky, his wife of 38 years, are the proud parents of two children, Brian and Stephanie, and the proud grandparents of two 18-month old girls, Fiona and Maryn. 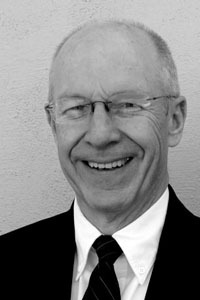 Robert “Bob” Coulter graduated from OSU College of Pharmacy in 1973. 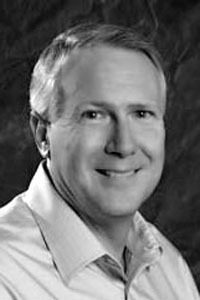 He began his career with Payless Pharmacy and went on to purchase the Red Cross Drug Store based in La Grande, OR in 1983. Bob and his wife, Sue (’77), currently own and operate three stores, two retail locations in La Grande and Enterprise, and a long term care facility in La Grande. The motto of Red Cross Drug Stores is “People Who Care,” which Bob has embraced as the basis of his business model, his standard for patient care, and a way of life. Since 2003, Bob has led and participated in nearly 30 international medical mission trips, often accompanied by students. Bob’s service to his community and his profession has been recognized with the prestigious Bowl of Hygeia Award and he has been honored as Innovative Pharmacist of the Year for Oregon and Oregon Pharmacist of the Year. Raised in a family of Beavers, with both parents graduates of OSU, Carl Heisel graduated with a degree in pharmacy from OSU in 1975. Carl began his career as a clinical pharmacist at Dwyer Milwaukie (now Providence Milwaukie) and also worked at Holladay Park Hospital before joining Legacy Emanuel Hospital in 1989 where he is currently the pharmacy manager. One of the defining accomplishments of Carl’s career is his leadership in the development and expansion of pharmacy-run anticoagulation clinics for Legacy. There are seven clinics in the Legacy system today thanks to Carl’s vision and leadership in expanding the scope of practice for clinical pharmacists. Carl and his wife of 30 years, Lia, have two children, Kurt and Kelly, both graduates of OSU. He is an avid sailor with the Willamette Sailing Club.